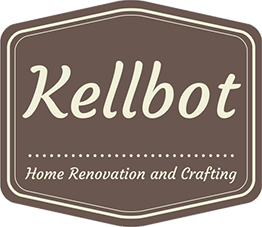 Managing Wholesale Accounts - Kellbot! | Kellbot! Wholesale accounts are great. You move a ton of product with minimal effort compared to retail sales, and if things go well you’ll have a nice steady stream of repeat business. When I first started wholesaling I realized I was going to need a better way of keeping track of orders and payments than just my Paypal account. A spreadsheet will do you allright, but can be a bit of a chore to maintain. I own a copy of Quickbooks, and actually know how to use it, but I haven’t set it up yet because it’s kind of a chore. And right now I’m working from any of three places, so having my invoicing tied to one machine is kind of a bummer. Enter Freshbooks. Freshbooks is an online invoicing tool which makes things really easy. You enter your client info, put together an invoice, and send it via email or snailmail. If you send the invoice via email the client will get a link to a login page where they can view the invoice and, if you’ve set it up, pay it. I just got around to configuring mine to work with Paypal / Google Checkout. It’s made my life a lot easier because I can see at a glance how much wholesale business I’ve done this month and which stores are purchasing the most. And I can track who has paid and who hasn’t easily. You can also get a report of which items are the bestsellers, although it’s a little clunky. But really the best thing about it is that it’s available from anywhere, so even if I’m traveling I can follow up on invoices. Freshbooks also offers expense and time tracking which I haven’t used, currently I’m using Mint.com for expense tracking until I have the time to spend a morning setting up Quickbooks. You can also have additional accounts for staff members, which I don’t have. The free version lets you have up to 3 clients, after that plans start at $15/month. Granted, Freshbooks doesn’t do anything you couldn’t do on your own with a little more time and energy, but both of those are a precious commodity for me. So being able to farm it out to someone else is a big plus. And I like that clients can log in and view their accounts at any time, see what’s due, etc. So far I’m happy with them. If you use something else to manage your wholesale clients, tell me about it in the comments! ooh! i saw you mention freshbooks on twitter yesterday and i was curious how you liked them / what the benefit is over other things out there. and here’s a blog post with all that information and more. kelly, sometimes it’s like you’re reading my mind.